As we write this, winter is once again making it's snowy presence known. It's hard enough being trapped in the house during these cold winter months, but imagine how hard it would be if you were a sick kid stuck in a boring, dreary hospital room? Ryan’s Case For Smiles, (formerly Conkerr Cancer), works hard to bring those sick kids some cheer by delivering bright, cheery pillowcases to them while they are in treatment, but they need our help! Their goal is to make sure every child in treatment receives a pillowcase, so as you can imagine they need a lot of them. We’d like to send them a big stack to help them with their mission, so we’re having a pillowcase contest! Once they’re done, send them to us here at Arrow. When the contest is over, we’ll draw a random name from all of the entries and send them one of our adorable thread caddies! If you send us four pillowcases, we'll put your name in twice! We have listed the complete rules below, please read them over carefully, and if you have any questions, email us at rebecca@arrowcabinets.com. With your help, we know that we can make lots of smiles for some sick kids! 1. Make two pillowcases following the guidelines posted here on the Case For Smiles website: http://caseforsmiles.org/sewingpreparing-pillowcases/ Remember, these are for kids, so they should be bright and cheery (you may think that rose print fabric is the bomb, but trust us, the kids won't)! Please make sure you include your name and return address! Pillowcases from pet-friendly homes are great, just make sure you bag them immediately after they are washed and dried. 3. Cases need to be received by Wednesday March 16th 2016 to be eligible. 4. 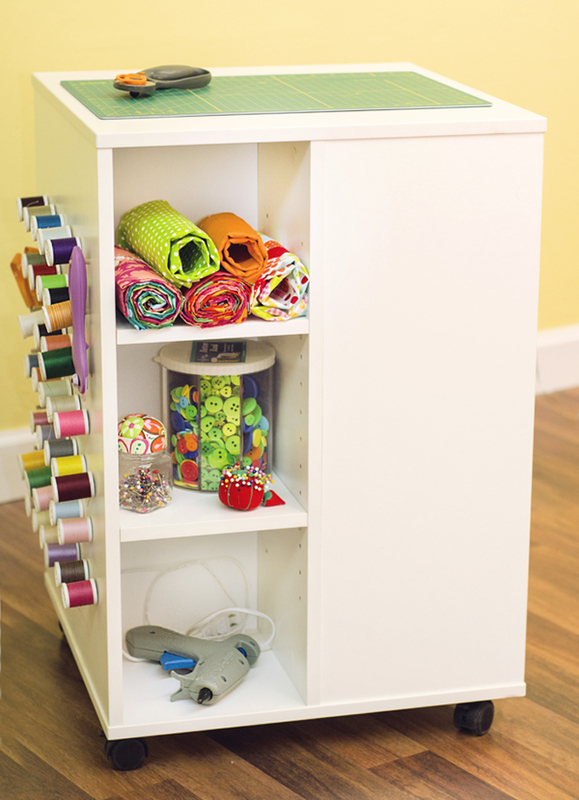 We will select one random winner from the eligible entries to receive a storage cube (accessories not included). Please feel free to share this contest with all of your sewing friends, we'd love to send a big stack! Make Some Cases, Make Some Smiles! September is quite a busy month this year! 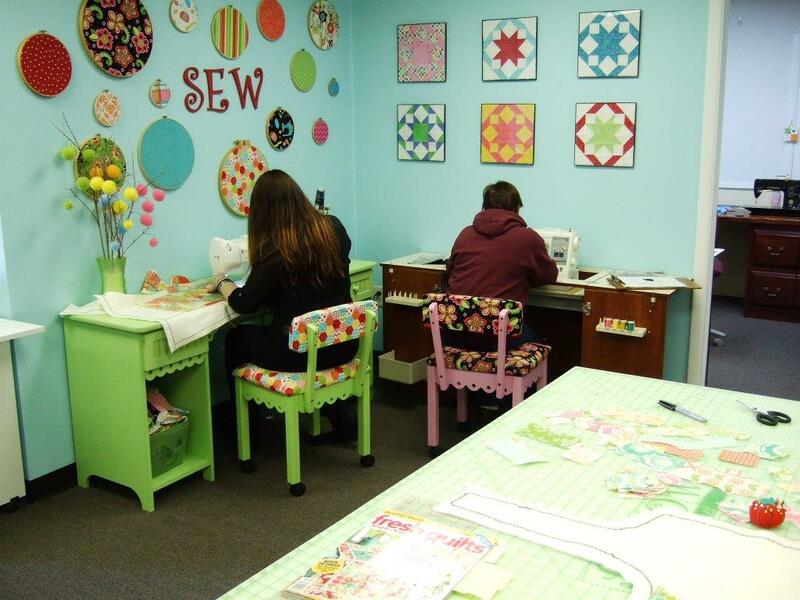 It’s National Sewing Month, it’s Childhood Cancer Awareness Month, and our friends at Ryan’s Case For Smiles (formerly Conkerr Cancer) are delivering their one millionth pillowcase this month! We thought we’d have a little contest that combines all three, and will bring some smiles to kids that need them. As you may or may not know, Ryan’s Case for Smiles mission is to deliver fun and cheerful pillowcases to children who have been diagnosed with a life-changing illness or injury. Unfortunately, that means they need lots of fun and cheery pillowcases. We’d like to send them a big stack to help them with their mission, so we’re having a pillowcase contest! Once they’re done, send them to us here at Arrow. When the contest is over, we’ll draw a random name from all of the entries and send them one of our adorable thread caddies! 3. Cases need to be received by Wednesday Sept. 30th, 2015 to be eligible. 4. 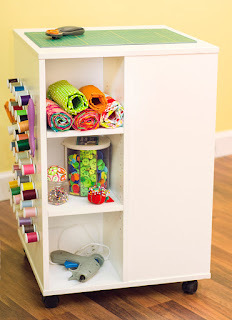 We will select a one random winner from the eligible entries to receive a thread caddy. 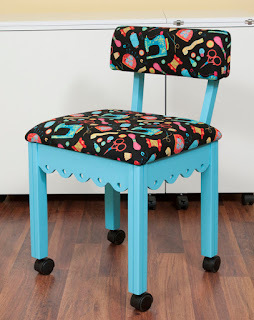 We've added a new member to our chair family - Miss Blue! Doesn't that lovely shade look great with the new Riley Blake fabric? We think so! To celebrate Miss Blue's arrival, we're giving one away. 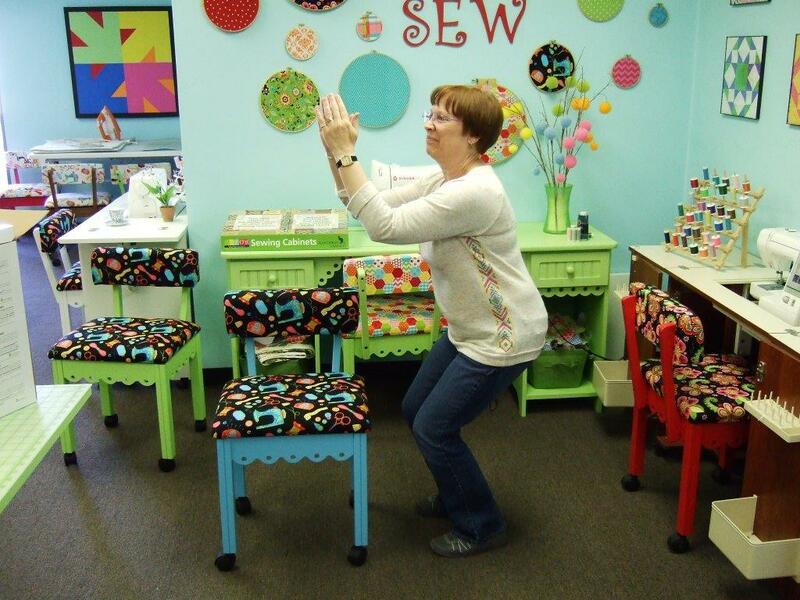 All you have to do is send us a picture of yourself doing the yoga "chair" pose! Our wonderful Jo was nice enough to demonstrate. Now, we know you all hate pictures and think they're a lot of work, but we love seeing them and we think Miss Blue is worth the extra effort! Since her MSRP is $220, think of it like getting paid to strike a pose. Madonna would be proud! 2. Get your picture to us by 6/30/15. Email it to rebecca@arrowcabinets.com with all of your info, along with a statement that you give us permission to post your photo on our Facebook page if you win. 3. We'll choose a winner, and they will get a chair! 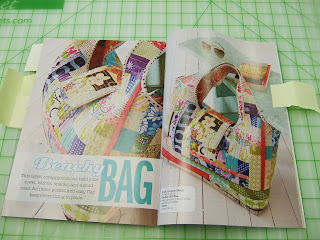 We'll also choose a runner-up, and they'll get a rolling tote! 4. The contest is open to residents of the 48 contiguous United States, Alaska and Canada. Nothing says "St. Patrick's Day" like something green! 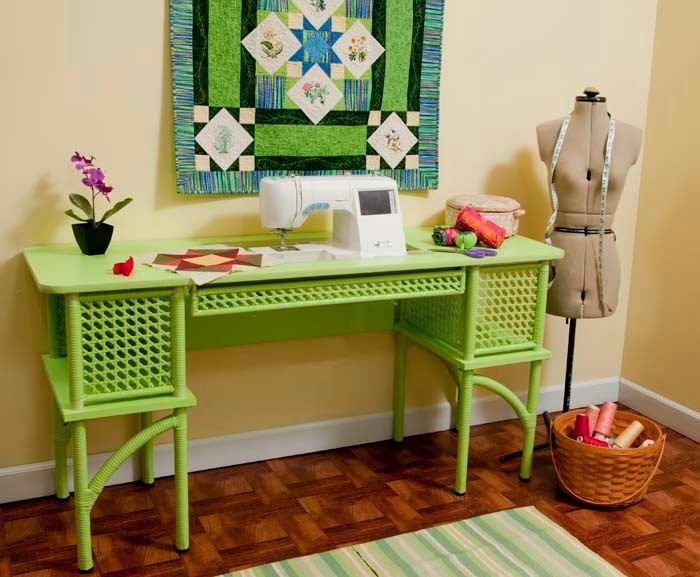 We'd love to add a little St. Paddy's Day cheer to your sewing room, so we are giving away a beautiful green Florie!! * There's only one catch - you've got to get a little silly and kiss the Blarney Stone (or a convenient rock). 1. Dress up in your best leprechaun-inspired outfit (remember, we like silly). 2. Make a sign that says "I'd kiss the Blarney Stone for an Arrow!" 3. Find a big rock (the bigger, the better). 4. Get a friend to take a picture of you kissing the big rock while you hold up your sign! 5. 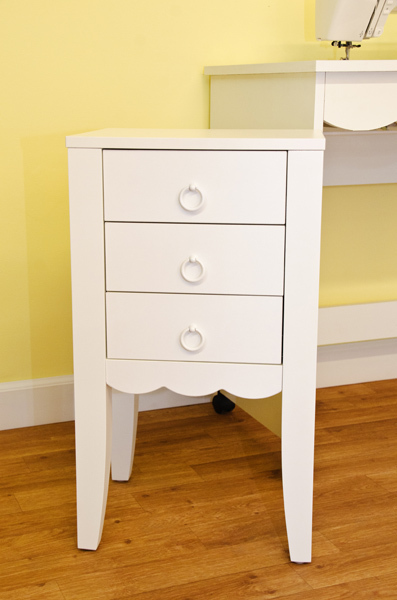 Email your picture to rebecca@arrowcabinets.com no later than Monday, Mar. 16th at 11 pm Eastern time. Please include in your email that you give us permission to post your picture on our blog & Facebook. 6. All the pictures will be posted on St. Patrick's day, and the winner will be chosen by Arrow staff. 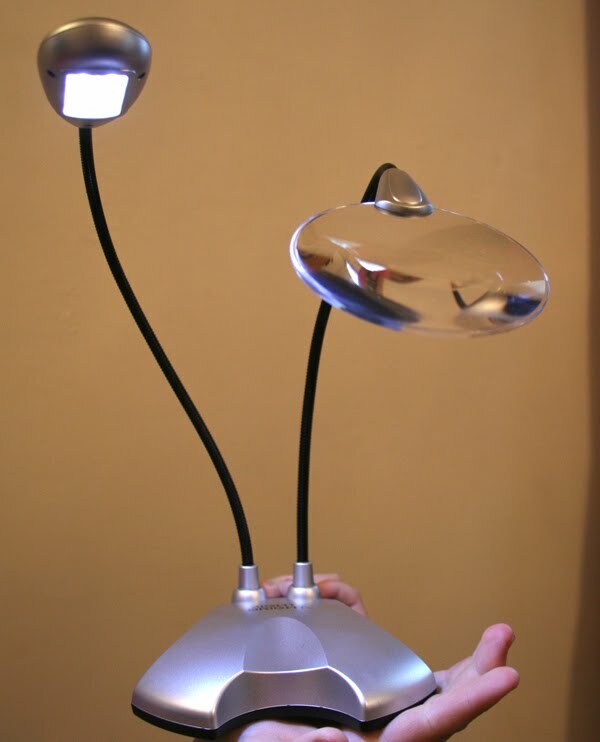 REMEMBER - creativity counts!! Good luck everyone! Make Some Cases, Win A Florie! Once again, we are sponsoring a pillowcase drive for our friends at Conkerr Cancer! Conkerr Cancer's mission is to provide provide smiles to children with life changing illnesses and to make them feel special. They do this by donating bright and cheery pillowcases to hospitals nationally and internationally! The recipient of this drive will be the Conkerr Cancer chapter in Milwaukee, WI. To enter, all you have to do is make two pillowcases per Conkerr Cancer's specifications, and send them to us here at Arrow. A winner will be chosen at random to receive a beautiful green Florie! 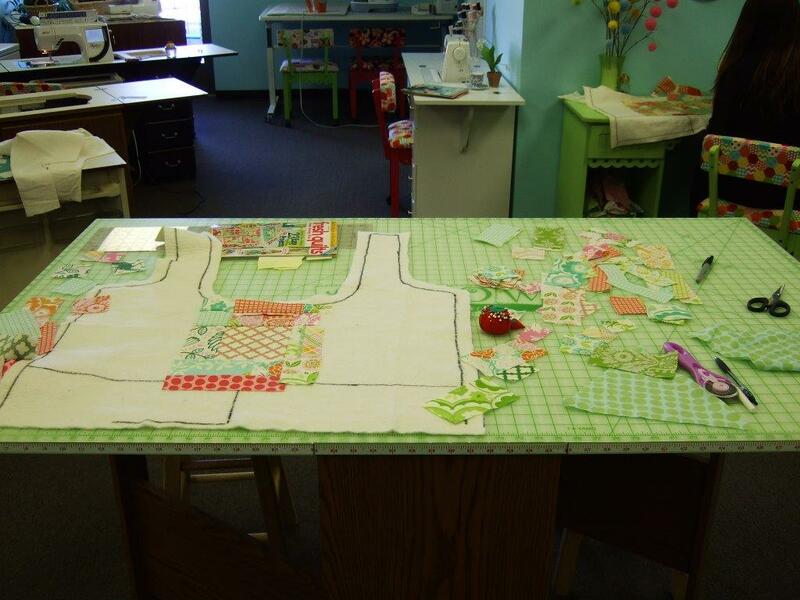 Our second prize winner will receive a cute apron! 1. Make two pillowcases following the guidelines posted here on the ConKerr Cancer website: http://conkerrcancer.org/pillowdirections.html Remember, these are for kids, so they should be bright and cheery (you may think that rose print fabric is the bomb, but trust us, the kids won't)! 3. Cases need to be received by Friday, March 27th 2015 to be eligible. 4. We will select one random winner from the eligible entries to receive a green Florie, and one random winner will receive an apron! At the beginning of the year, we shared with all of you some of our sewing New Year's resolutions. 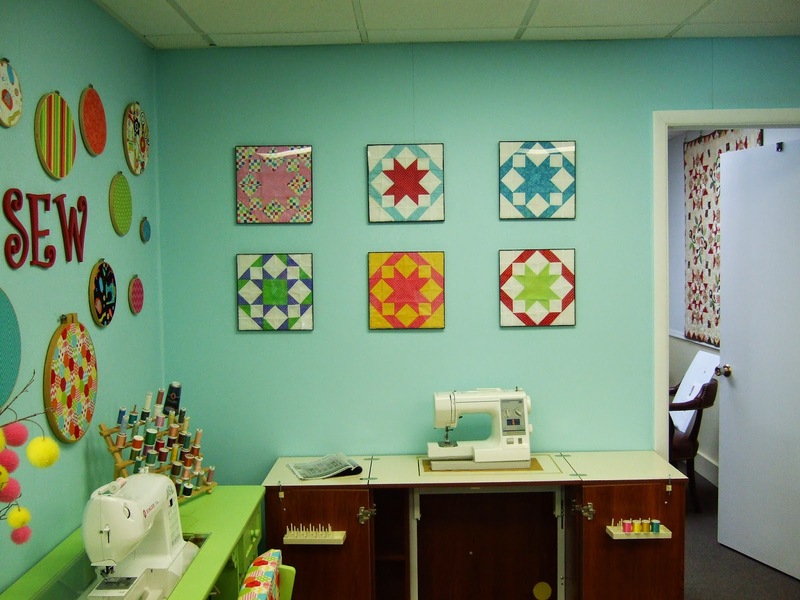 As you may recall, Hether, Jessica and Joy wanted to learn how to quilt. 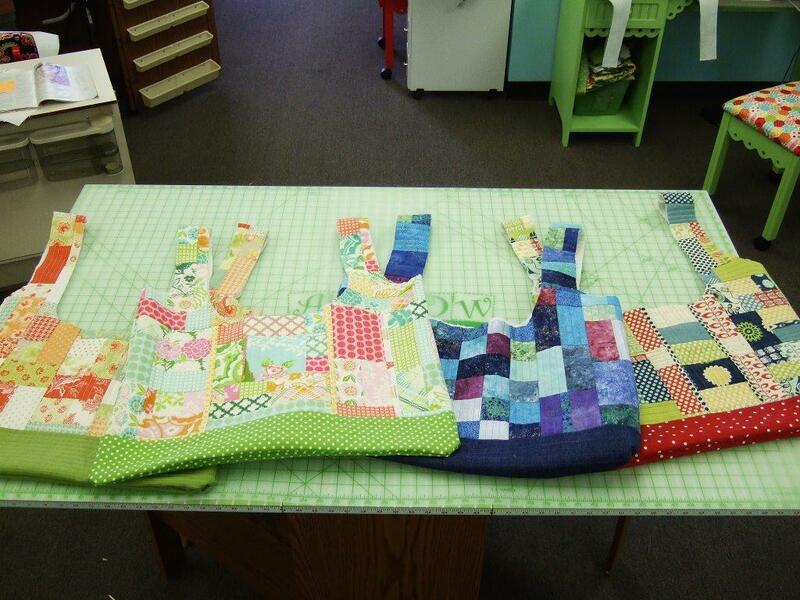 A few weeks ago, with some help from our own Jo, they started off on their quilting journey! For their first lesson, they concentrated on piecing. They each pieced two blocks, which are all now framed and hanging proudly here in the Arrow offices. Now that they have had some piecing practice, their next project will be pieced and quilted. 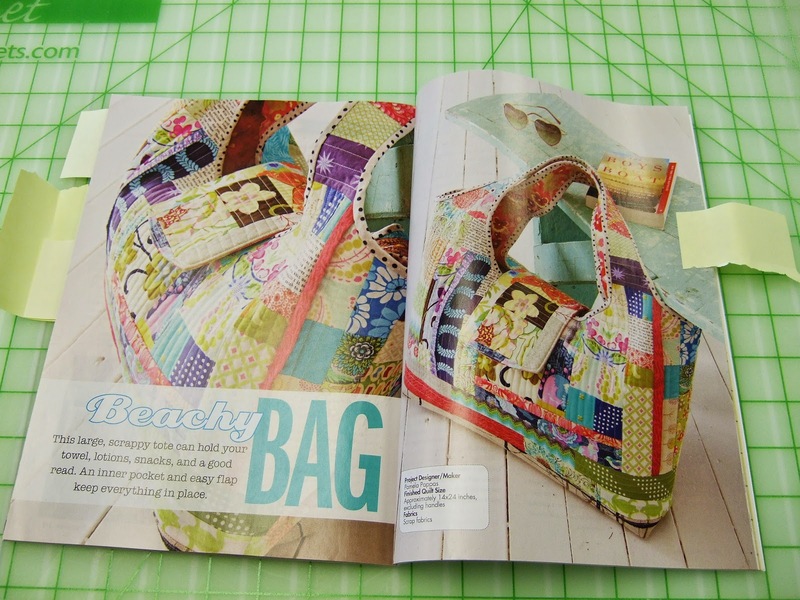 They'll be working on this cute beach bag, which can be found in the spring issue of Fresh Quilts. Isn't it cute? If you love the project and would like to join us, the spring issue is out now. 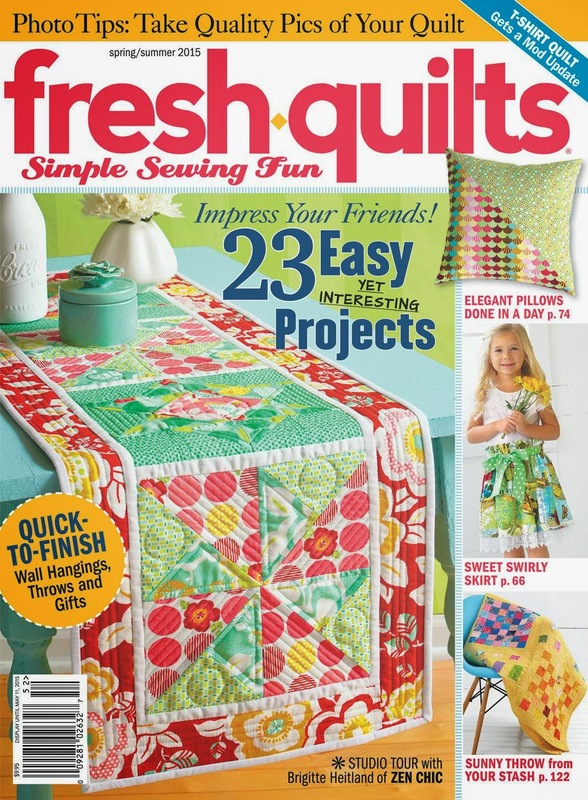 You can pick it up at your local quilting/sewing shop, Wal-Mart, CVS, Barnes & Noble, and many other places. We may even give one away as swag, so keep watching our Facebook page! And please, feel free to keep us posted on how you're doing with your New Year's resolutions. We love hearing about them! Pinterest Procrastination: Hoop To It! If you've been following the blog, you know that we here at Arrow have been trying to do a little less pinning and more creating! 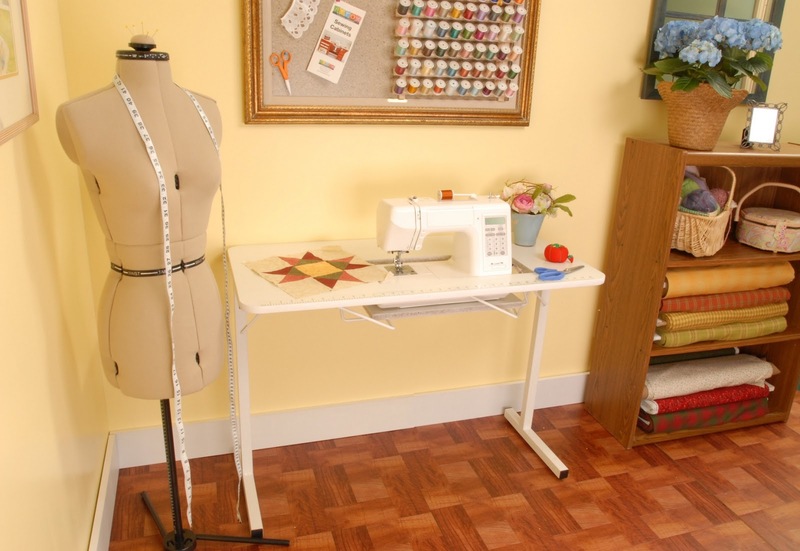 Once every month or so, we are trying to make one of the projects that we have pinned to our boards. This month, we decided to kill two birds with one stone - check one of our pins off of the "To Make" list, and create some fun decor for our new offices! 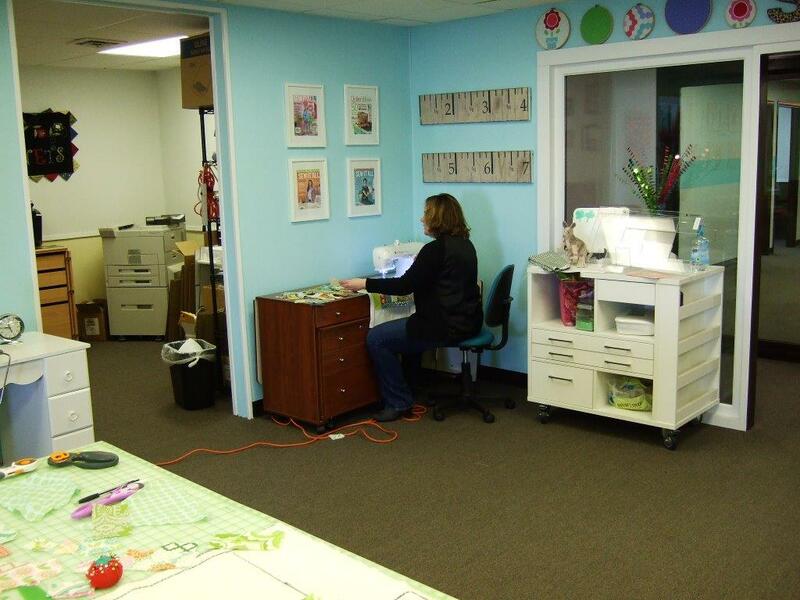 We opted to try making those cute embroidery hoop & fabric wall hangings. 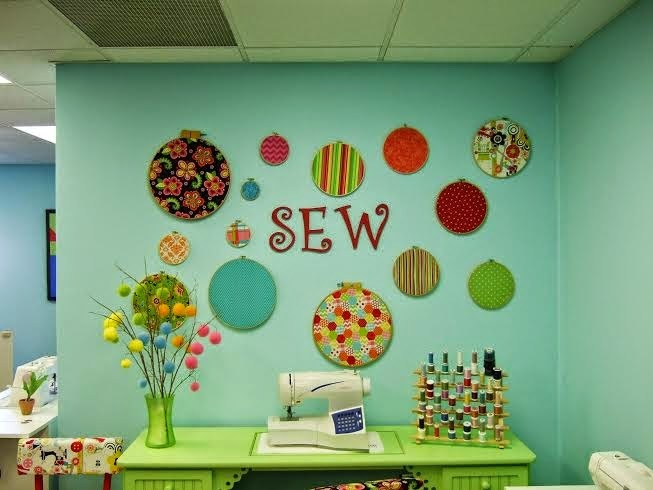 All you need is 6-12 embroidery hoops (Joann prices were 99 cents to $1.79), and some fabric that matches your decor. Jessica scored a whole bunch of hoops at Goodwill for .55 cents! It was one of the easiest projects we have ever done. 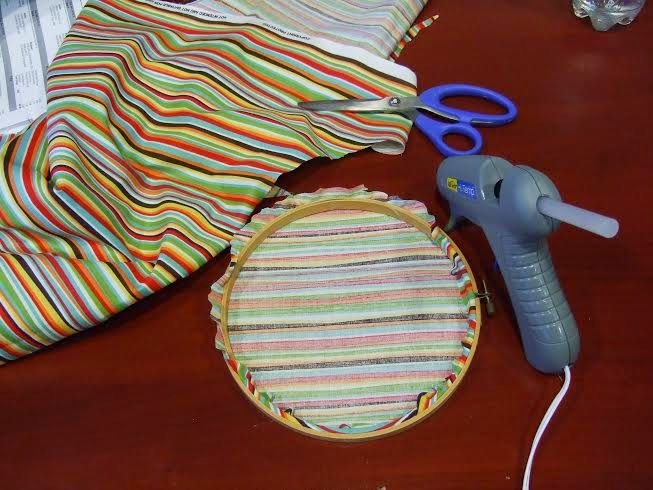 We bought and used scrap fabric, cut it 1” wider than the hoop and simply folded it around the back and glued it down! 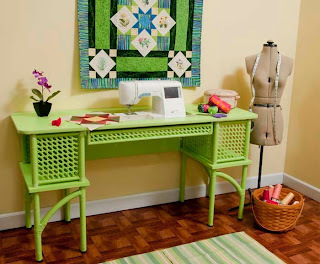 We love this project because you can change out the fabric over time (glue over) and it was inexpensive, but it created a big statement. We think it really perks up our space! "Miles OF Pillowcase Smiles" Challenge! September is almost upon us, which means the wonderful folks at Conkerr Cancer will be kicking off their "Miles Of Pillowcase Smiles" Campaign in honor of Childhood Cancer Month. 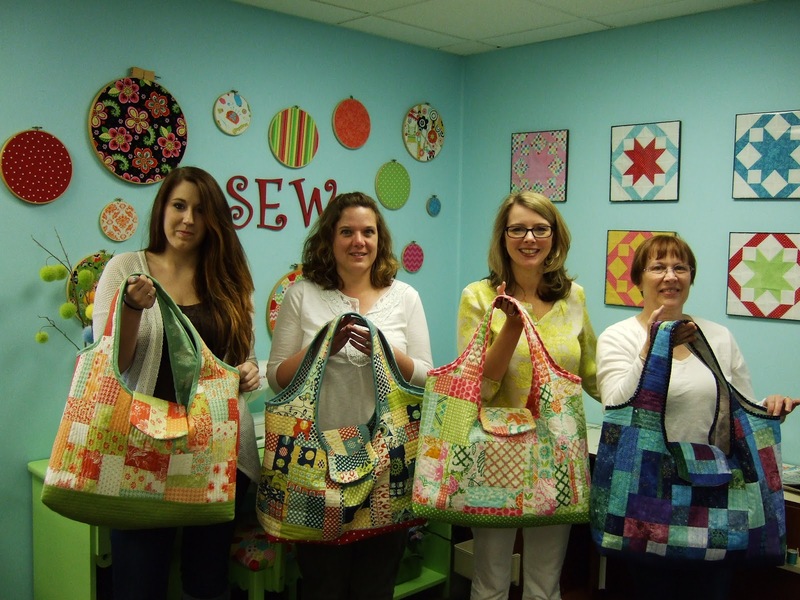 We'd like to help them reach their goal of making 44,000 bright & cheerful pillowcases (20 miles), each one representing a child currently in treatment, by hosting a pillowcase drive. The recipient of this drive will be the Conkerr Cancer chapter in Milwaukee, WI. To enter, all you have to do is make two pillowcases per Conkerr Cancer's specifications, and send them to us here at Arrow. This time we are offering first, second and third place prizes! Our first prize winner will receive one of our adorable thread caddies, and the two runners-up will receive a rolling tote! 3. Cases need to be received by Tuesday, Sept. 23rd, 2014 to be eligible. 4. 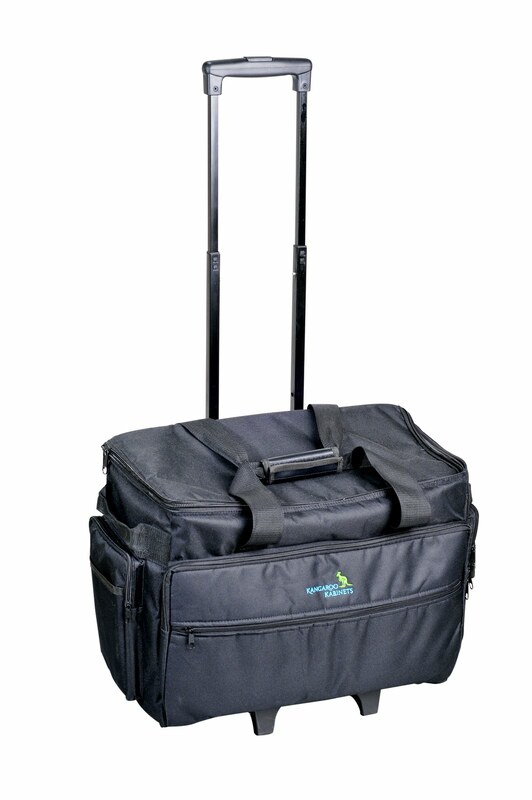 We will select a one random winner from the eligible entries to receive a thread caddy, and two random winners will each receive a new rolling tote!